The filling is the bessstttt part! A warm, gooey center that makes breakfast something worth waking up for! 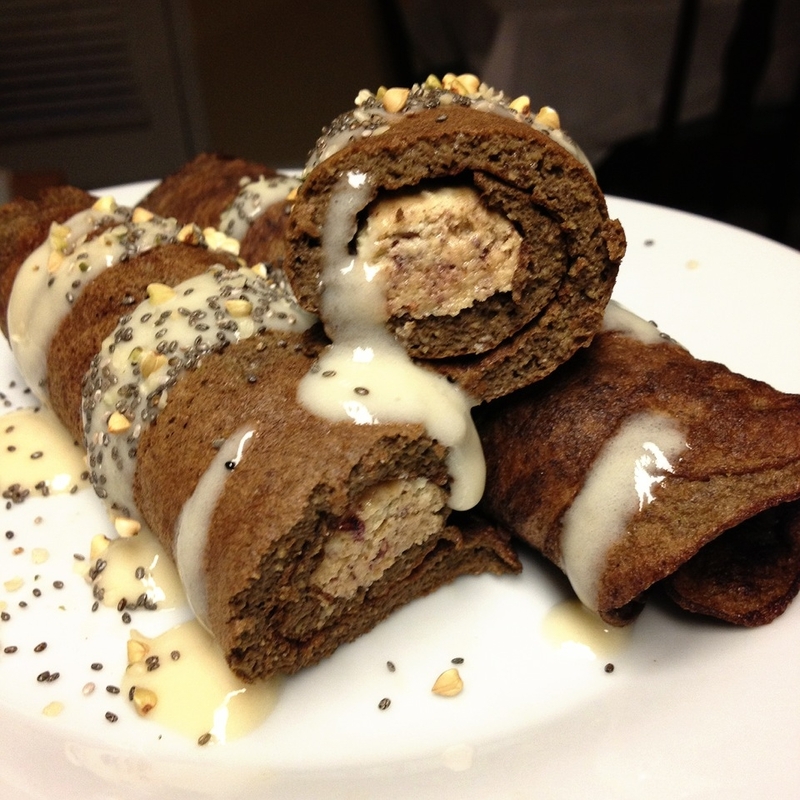 Blend all of your crepe ingredients (except for the quest bar) in a blender. Pour half of your batter into a large pan sprayed with nonstick spray. Cook on a medium heat for 2 minutes, flip, and cook another 1-2 minutes. Cut your quest bar in half so you have two long pieces. Roll your crepe around one piece while itâ€™s still hot so the quest bar melts slightly. If it doesnâ€™t, microwave for 10 seconds. Repeat the process for the other half of the batter and quest bar.